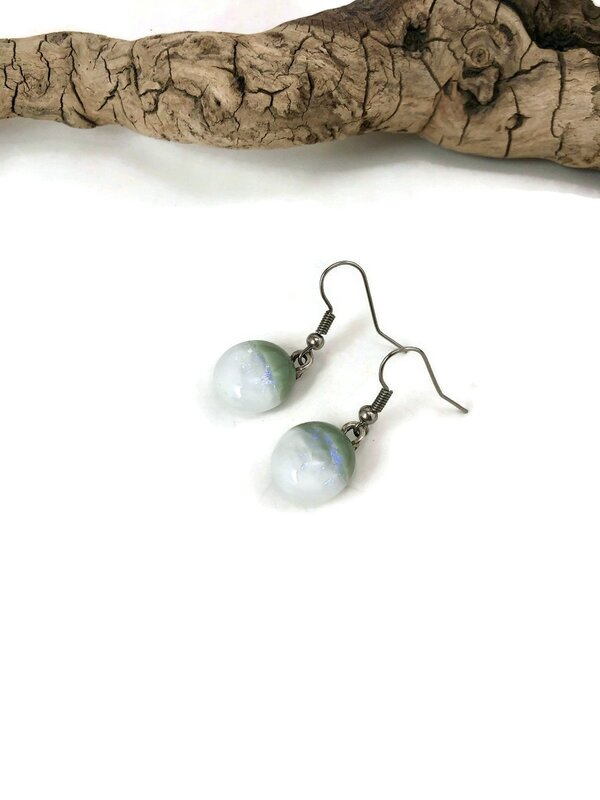 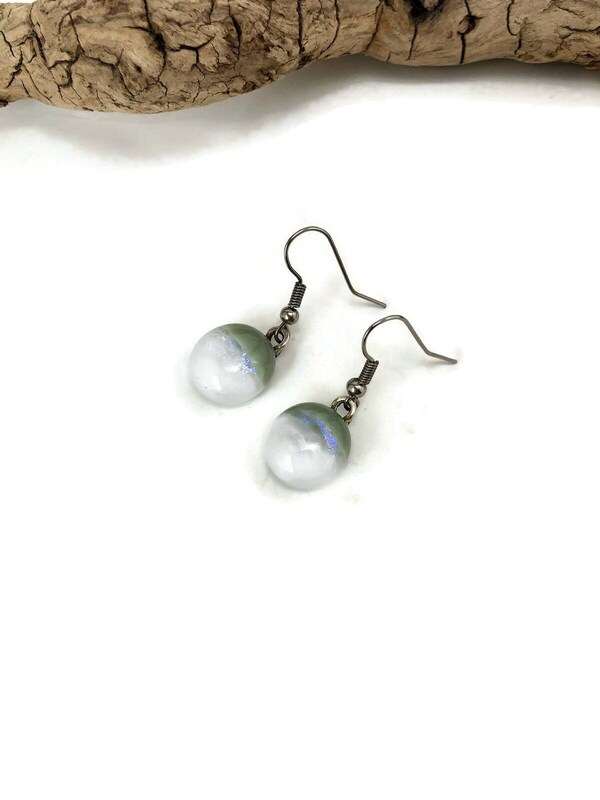 These gem's are one of a kind fused glass dangle earrings they are an amazing sage green and white with reflective Blue. 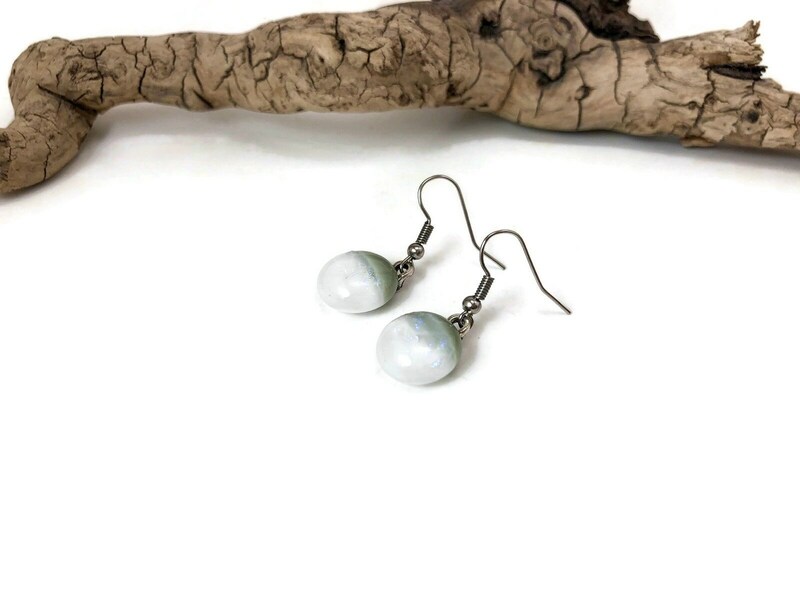 All my jewelry is handmade by me in my home studio. 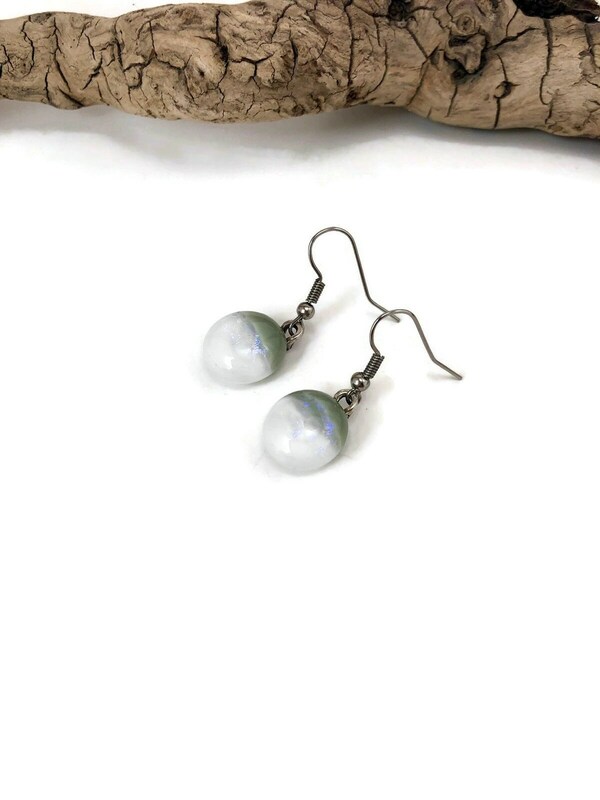 Everything is nickle free and I use surgical steel for all my earring wires and posts.